PDI is North America’s largest independent designer, manufacturer, and servicer of mission critical power distribution, static switching, and power monitoring equipment for corporate data centers. PDI has been in the data center market for over 25 years and has the widest range of products in the industry. The core distribution products are remote power panels, power distribution units, and static transfer switch systems with a wide array of monitoring options centered on PDI’s patented Branch Circuit Monitoring System. The PDI product lines are supported by an industry best sales and service organization throughout the world. PDI’s PowerPak PDU Series of products takes the same proven technology offered in the Computer Shield Series of products and combines it with the custom distribution and power monitoring required by today’s Data Center. All PowerPak PDUs provide shielding and isolation along with a single point ground reference for your Data Center equipment. These features eliminate electrical noise problems within your facility. The transformation portion of these self-contained systems can be sized up to 300kVA and rated up to K20. Upgrade the transformer to PDI’s patented Quad-Wye and cancel harmonics in the same footprint. PDI also offers a new advanced monitoring package for the PowerPak PDU – the WaveStar™ monitor package. This enhanced monitoring package offers features like wave form capture, power measures, single and dual source capabilities, and more to the industry standard power distribution. Add PDI’s Branch Circuit Monitoring System to your PDU and you can manage the loads down to the branch circuit level. Adding servers and/or running out of breaker space on your data center floor? The PDI RPP is a freestanding distribution system designed to increase the usable kVA of your Power Distribution Units (PDUs). PDI invented the RPP product in 1997, and the new enhanced RPP allows better internal access while power connections are made. Your RPP can be rated for 208V and can provide up to 168 additional single-phase circuits. Add BCMS to actively monitor down to the branch circuit level. 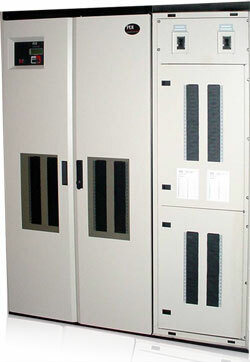 Critical Components is the Southeast’s source for PDI critical power solutions, PDI power monitoring equipment. Serving the Southeast including Georgia, Alabama, Florida, Atlanta, Birmingham, Orlando, Tampa and Jacksonville. We carry reliable solutions in Critical Power, UPS – Uninterruptible Power Supply, Network Power, data center power and backup power solutions.